O’Neills International Sports Co Ltd are the leading sports brand in Ireland. They have a long and established record in supplying playing kit and equipment for hurling, Gaelic football, rugby and soccer throughout Ireland and they have a growing and developing international customer base. 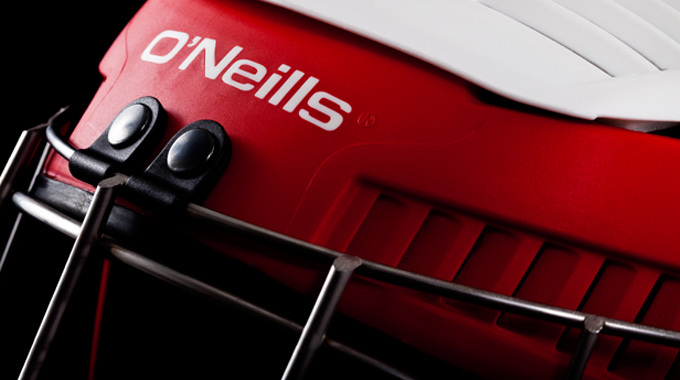 Following the introduction of a rule making helmets compulsory at all levels in hurling, O’Neills began the process of design and manufacture of helmets. Hurling is one of the fastest field games in the world, played with a stick made from ash and hard leather coated ball. The tooling combines multi-part cavities with several processes including over-moulding. We mould the parts on a range of colours and supply them to O’Neills where they are assembled and customised according to customer specifications and preferences. One of the primary advantages for O’Neills is that we are a local firm, so there is an opportunity to retain local employment and logistically it assists greatly in problem solving and ongoing product development. The O’Neills helmet construction offers a number of safety features to comply with NSAI IS 355 (2006) safety standards. Our input on the materials and construction was a key contributing factor in the success of the product. We work with customers across a range of sectors, demonstrating our flexibility and adaptability. Contact us now for a consultation on how we can help you in the Sports Apparel/Equipment sector.